The layout is versatile, a double seat forward of the console, helm and navigator positions and jockey seats aft still allow lots of working deck space and she has ample storage. The engine compartment is vast for the size of boat making servicing and maintenance easy. The current business owner of this boat has recovered the input tax on the purchase. Therefore this boat will be sold on a normal VAT invoice with 20% VAT charged on the final selling price. 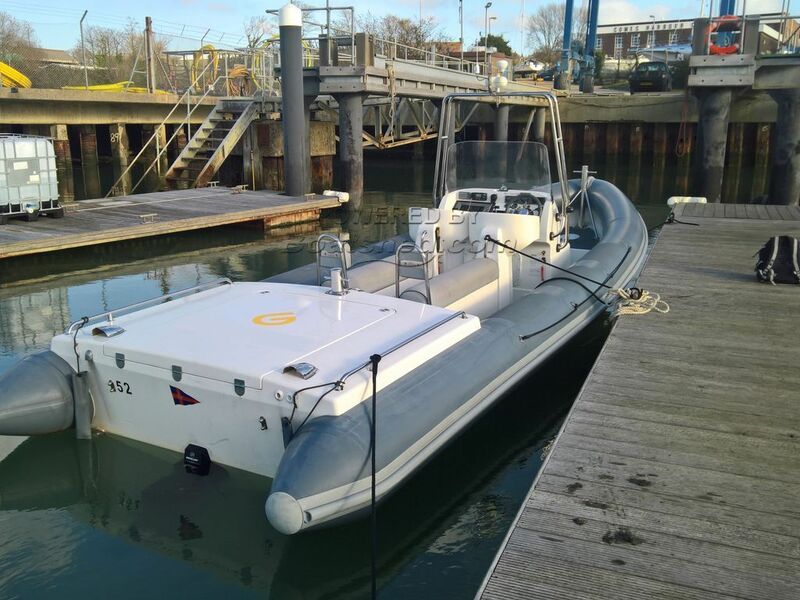 This Coastline 8.0m Inboard Diesel has been personally photographed and viewed by Corinne Gillard of Boatshed IOW. Click here for contact details.